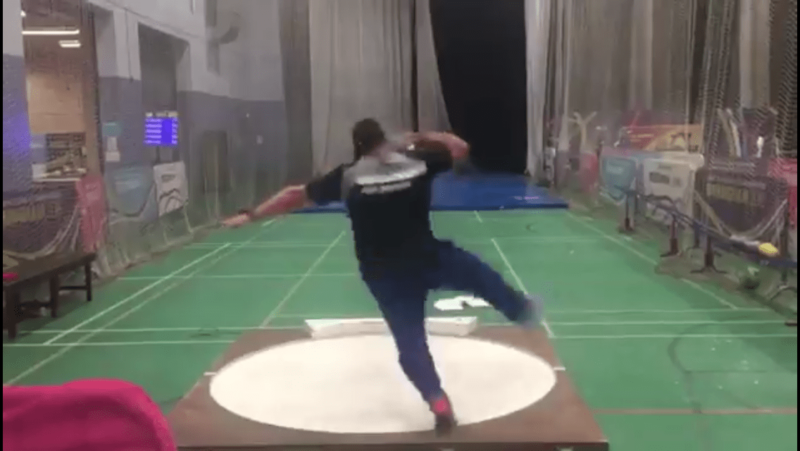 One nice thing about covering the throwing events is that the day after someone turns in a fantastic performance, say Tom Walsh breaking the Indoor World Championship shot put record in Birmingham last weekend (with a throw of 22.31m thank you very much) you can call up his coach and have a really interesting chat with him while he’s sitting around an airport waiting for a flight to New Zealand. And that’s exactly what I did last Sunday. I called up Tom’s coach, Dale Stevenson, and shot the breeze with him for a while about how things have been going for Tom. Have you ever had a conversation with someone who is so pleasant to talk to that it seems like you’re having a beer together even though you aren’t? That’s what it’s like talking to Dale. Actually, the first time I called him–last summer after Tom had won the outdoor World Championships in London–he was having a beer, in a London pub while celebrating Tom’s big win. That did not prevent him, though, from taking the time to answer a bunch of questions about Tom’s career and training. This past Sunday, he was equally generous with his time. I’d actually caught him in a bit of a reflective mood. 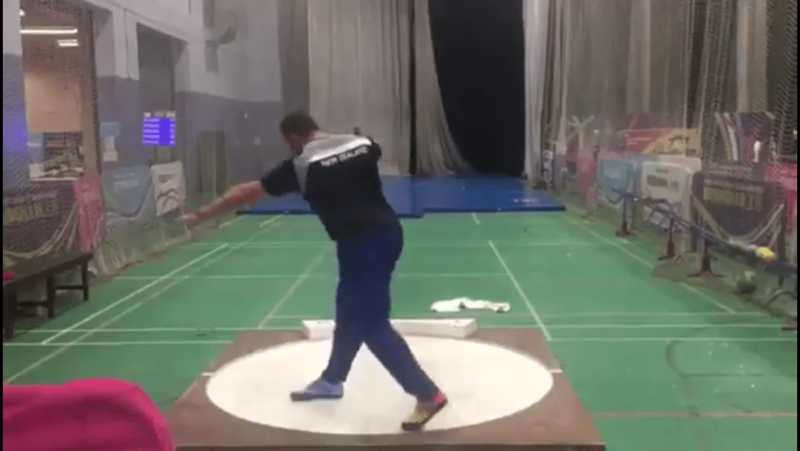 He mentioned that they had to head straight back to New Zealand because the national championships were just a few days away, and I complimented him on his and Tom’s ability to manage the huge travel demands faced by someone living and training half a world away from most international competitions. He replied that for athletes from “our sleepy little corner of the world” being away from home is “just part of the territory,” and pointed out the dichotomy faced by many coaches that “being away from loved ones sometimes makes you question whether this is something you really want to do,” but at the same time “steels your resolve” to do it well. Right now, nobody is doing shot putting as well as Tom Walsh, and as a throws geek writing for the benefit of fellow throws geeks, I opened with some questions regarding Tom’s technique. 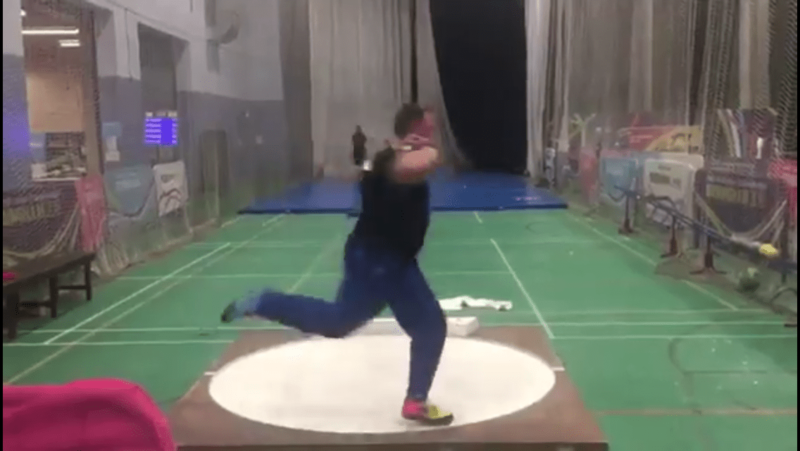 If you’ve seen Tom throw, you’ve likely noticed that his setup at the back of the ring is pretty unusual–his left foot on the center line and his right foot staggered back quite a bit. 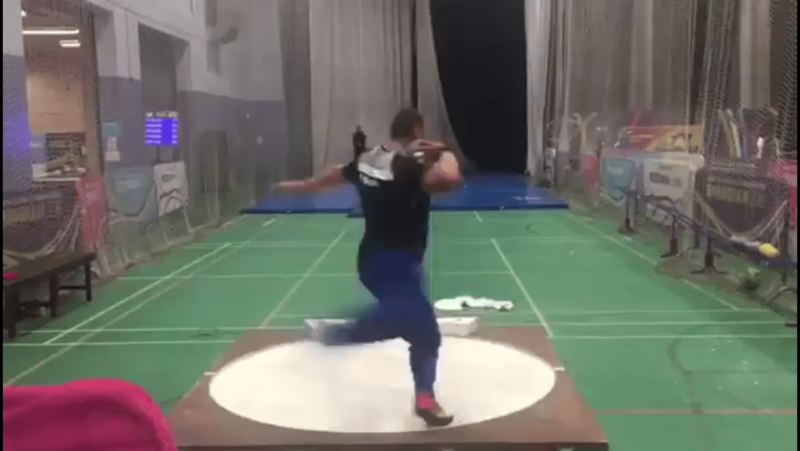 You can see it clearly in this still from a training session that Tom posted a couple of days before Worlds. I asked Dale how Tom ended up adopting this method of setting up the throw. 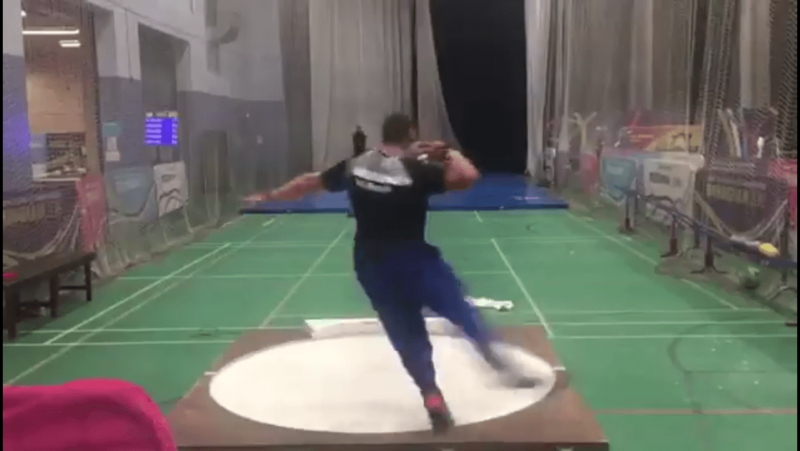 Like other highly successful throws coaches I’ve spoken to over the years, Dale was careful to point out that just because something works for Tom doesn’t mean that it would work for most throwers. 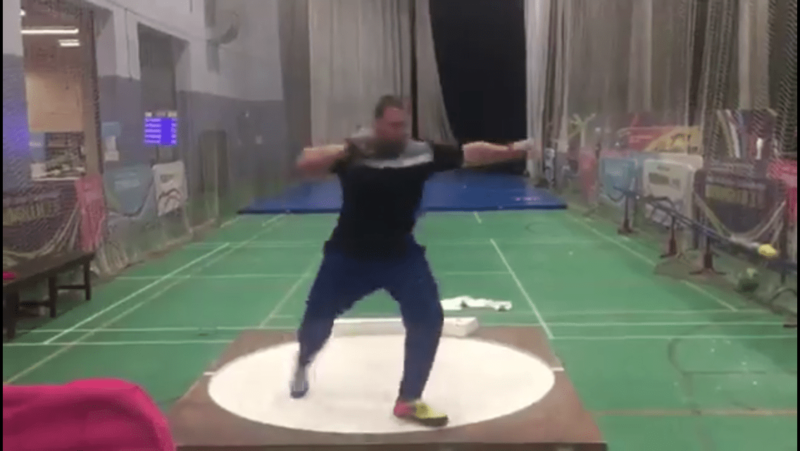 I then asked Dale what, for me, is the vital question regarding the rotational throws: When should the right foot leave the ground when coming out of the back of the ring? With no outdoor World Championships or Olympics this summer, I asked Dale what would be the focus of their efforts the rest of the year. Tom’s agent is also negotiating a couple of possible appearances in the United States, perhaps at the Kansas or Drake Relays. Any thoughts of taking things a bit easy in this non-Worlds, non-Olympic year? Alright then, since there will be no slacking off this summer, how about taking a whack at the world record? I told Dale that, in my humble opinion, if Tom stays healthy for the next couple of years he is one of three guys (along with Ryan Crouser and Joe Kovacs) who have a chance to establish a new world record. Did he agree? My question brought out his inner diplomat. Fair enough. And one thing is for sure, Dale. The day after it happens, I’ll be giving you a call.